Truth be told, the students left out in the cold are probably in the same place they would otherwise have been if they actually graduated with one of the degrees issued by ITT Tech. Stories abound of graduates with newly-minted technical degrees from ITT Tech finding high-paying technology careers closed to them. Recruiters for “Tech” made big promises to potential students to entice them to enroll in degree programs. Behind the scenes, recruiters were nothing more than high-pressure salespeople with ambitious quotas they in turn were pressured to meet by corporate management. Suffice it to say, the bar for entry into ITT Tech was set very low and it should then come as little surprise that the quality of technical education doled out was not rigorous. 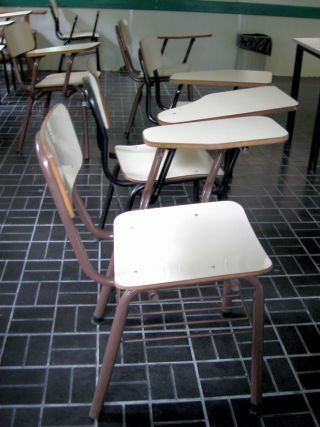 Former students have reported curricula and materials five or more years out of date. Instructors were often recent graduates with little knowledge of the material they were hired to teach. Many students resorted to watching YouTube videos in an attempt to learn course topics. It is little wonder that prospective employers would scoff at ITT Tech degree holders when they showed up for interviews. Like most things in our world today, where money is involved, politics doesn’t lurk too far behind. Upon closer examination, the death of ITT Tech was put in motion several years ago beginning with a Senate investigation that found that about 52 percent of students who enrolled at ITT Tech in 2008 had dropped out by 2010. In recent months, the Depart of Education under the Obama administration had imposed severe impediments to its qualification for federal student loan money raising the amount ITT Tech was required to hold in escrow in order to enroll students receiving federal student loans to $100 million. As a for-profit institution of higher-learning, ITT Tech thrived on the ability of low income students to qualify for and receive federal student loans. This kept their bottom line humming, shareholders happy and senior management flush. The story for students and graduates followed an entirely different plot line. Students were charged as much as $77,000 for a bachelor’s degree and it climbed as high as $90,000 in 2015, but this investment rarely translated into the well-paying jobs promised by ITT Tech recruiters. Many students found themselves funneled into telemarketing jobs or hired as cable installers, jobs that didn’t require anything more than a high school diploma let alone an over-priced degree from ITT Tech. In a move to fudge the numbers and appease federal regulators, ITT Tech counted such job placements as resounding successes since they were technically related to the students’ field of study. It all would be laughable if it were not for the crushing debt these students – both graduates and dropouts – have found themselves saddled with, in most cases, for the rest of their lives. The fallout from for-profit education goes hand-in-hand with the abuses of the American financial system of late. Whether it’s the subprime mortgage crisis where mortgage companies and banks engaged in predatory lending practices targeting low-income applicants or more recently, the revelation that Wells Fargo fraudulently opened credit card accounts without customers’ knowledge in an effort to artificially boost their sales figures for the contentment of shareholders, it’s all is cut from the same cloth. Greed drives such businesses to prey on the hopes and dreams of the most vulnerable in our society and those least likely to recover from the financial impact such greed inflicts. Despite ITT Tech closing, the demand for well-trained and qualified IT professionals continues unabated. This is a case where the market is tilted to the demand side and the challenge remains as to how the educational system can produce an adequate supply of qualified applicants. Perhaps we need to begin by asking if all of these positions truly require a 4-year degree from a traditional college or university. A middle ground solution is to seek graduates from accredited trade schools and community colleges. In turn, their education can be supplemented with training and certification in specific IT disciplines such as networking, security, PC maintenance, and the latest cloud and cybersecurity disciplines. This is exactly the training and certification niche that Cybrary.it was created to address. Cybrary.it offers a wide selection of online training completely free of charge in high-demand skill areas. These are all in the form of convenient, self-paced video courses that students can participate in that meet the demands of working students. Upon completion, students can choose to take very affordable “micro cert” exams which demonstrate their mastery of the course content or opt to sit for more rigorous, industry-certified exams. It’s time that ambitious people looking to get ahead and participate in an economy that is becoming more tech-centric be given a fair opportunity where they are encouraged and supported. Not seen as marks to be preyed upon by greedy corporations whose only mission is to enrich themselves and shareholders at the expense of the less fortunate.